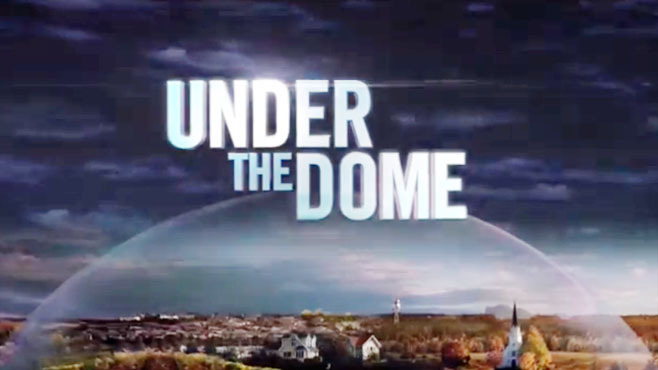 CBS series Under the Dome experienced another drop in its ratings this past Monday, slipping to a 2.4 score (after the final numbers came in) with 10.4 million total viewers. That’s now two weeks in a row of flagging numbers, but there’s not too much to be worried about here. It’s not uncommon for a show to slip off as its season progresses and it’s probably suffering some from the feud between CBS and Time Warner Cable which has resulted in the channel being pulled from that service in several major markets across the country. The ratings drop won’t lead CBS to rethink their renewal decision and the numbers UtD pulled on Monday have it at about the same mark Person of Interest was at towards the end of the 2012-13 season. So these numbers would still likely keep the show alive during the regular season. On NBC, Siberia actually improved its numbers slightly, going from a series low of a 0.6 rating in the 18-49 demo last week to a 0.7 score on Monday with 1.8 million total viewers. Of course, that doesn’t help the show’s cause too much and it’s still likely to disappear once it finishes up its current season. On the cable channels, Teen Wolf held steady with a 0.8 rating in the 18-49 demo and 1.9 million total viewers on Monday night. That series is quietly having its best season so far ratings-wise and I expect to hear of a fourth season renewal at any point. On Sunday, True Blood remained steady with a 2.2 score and right at four million total viewers. But for the first time that I can remember for the current season, it did not win the night among cable shows as AMC’s Breaking Bad topped it for the night with its return. On Friday night, Continuum slipped one tick to a 0.3 rating with 1.1 million total viewers. That show, though, has already been renewed in Canada and Syfy will air its third season sometime in 2014. On Wednesday, Futurama improved its numbers to a 0.8 rating with 1.4 million total viewers. Word is that Matt Groening is currently trying to find another location to keep that series running past its seventh season (which will be its last on Comedy Central). On Saturday, the last of the burn-off shows Do No Harm continued to track steadily low with a 0.4 rating in the 18-49 demo and 1.6 million total viewers. The Summer burn-off runs of cancelled shows like this and 666 Park Ave, Zero Hour, and Cult make me wonder why they networks don’t take a different approach toward these. Sure, they crashed and burned during the regular season, but to air out their runs during low viewership Summer on the least watched nights of the week–Friday and Saturday–is a clear sign that the networks are doing little more than fulfilling their contract obligations. Why not try and promote these with a “Second Chance” Summer run in which they air the entire season, instead of just the episodes that have not been broadcast yet, and put them in more favorable timeslots. The networks have a ton of reruns airing during the week anyway this time of year, why not try to promote these shows as new, original programming and pull in the viewers they never found during the regular season. Perhaps one or more of these could turn into a Summer sleeper sort of like Under the Dome on CBS. If they don’t catch on, then there’s really no harm done, but at least that could give them somewhat of a chance, and a better one than they had in the regular season. Just a thought, and maybe an angle that a “Save My Show” campaign could take in the future (because there are plenty of sci fi/fantasy shows that will be getting cancelled in the coming seasons).